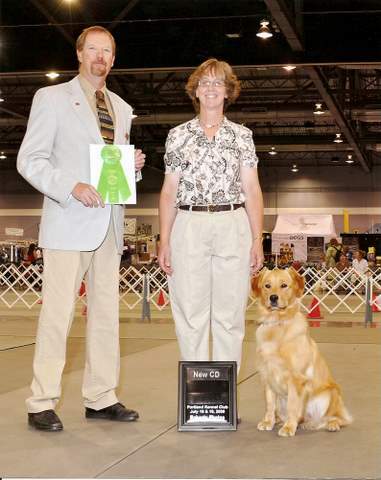 KnightDrmz Goldens is pleased to present--- KnightDrmz Aberdeen's Moonlight, CDX, RAE - Major. 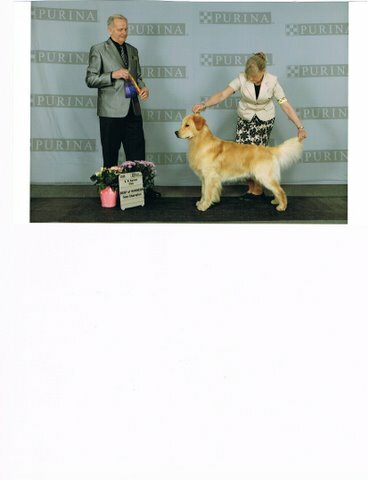 Major is being trained in Obedience and already has a High In Trial and High Scoring Golden under his collar! 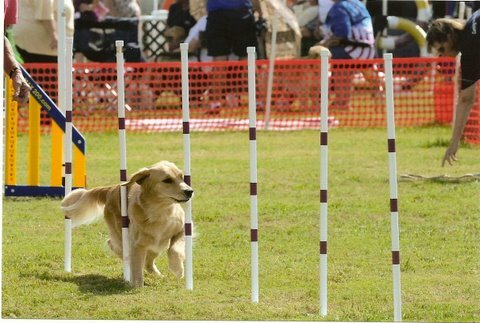 Bob and Major have continued to excel - earning two Open Obedience legs with First and Second Placements, AND HIS TITLE WITH ANOTHER FIRST PLACE. We are so very proud of Bob Millar and Major! 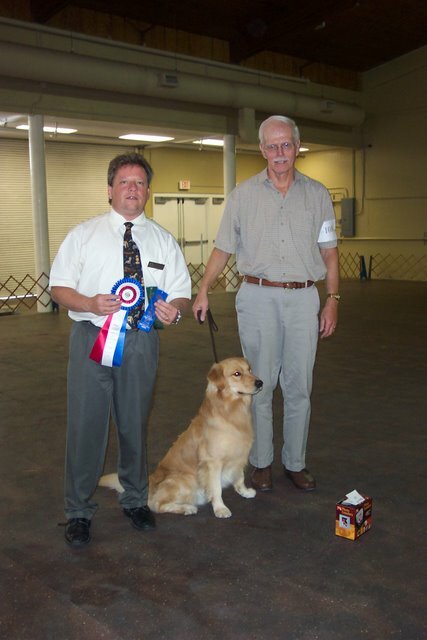 Bob and Major achieve their RAE at the OTCPBC Trial June 13th, 2010. Our pride with this team just continues everytime they enter the ring. 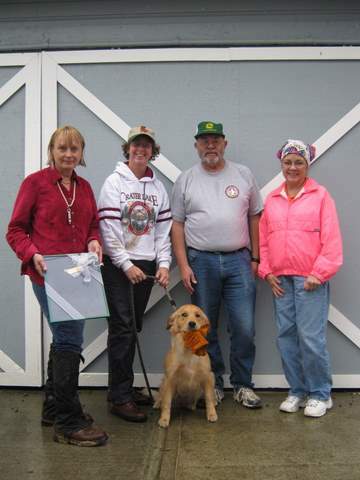 KnightDrmz Quailroc's My Eyes Adord U. CD, CGC - Rachel - lives in Oregon with Sheri and Kyle. 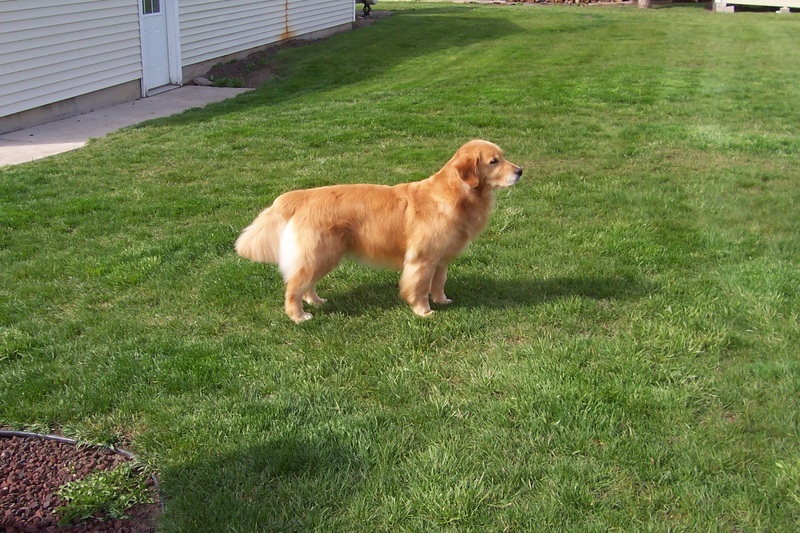 She is from Frankie's second litter, born March 18, 2008. 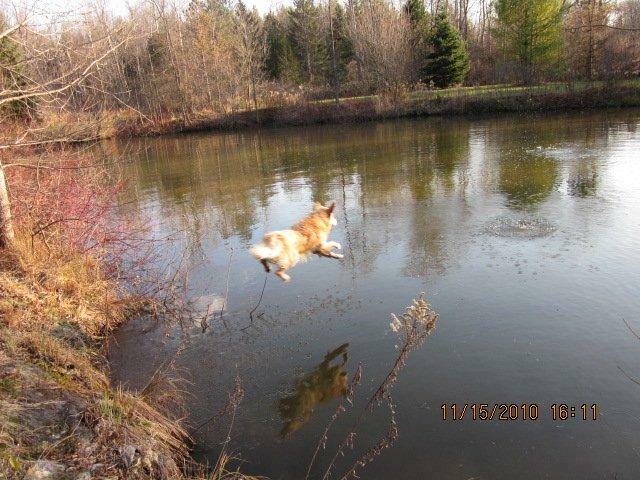 Sheri tells us that Rachel is 'bird crazed' and loves training in tracking, obedience and field. We are thrilled with her willingness to learn and look forward to updates of titles in the future. Well - we did not have to wait very long - -Rachel earned her CD in one weekend with 2nd and 3rd placements - at the young age of 16 months. Rachel had another successful weekend -- and earned her CDX at the Pacific Rim GRC Specialty with a score of 187 and SECOND PLACE. Rachel has gone on with success -- we are so PROUD to announce - Rachel and Sheri entered their FIRST TD test on September 6th, 2009 and passed with flying 'glove'. Sheri drew the alternate track -- four TD tracks and one alternate were laid - Rachel and Sheri were the ONLY pass!!!! And Now -- Rachel is in the Field competing and going for her JH. 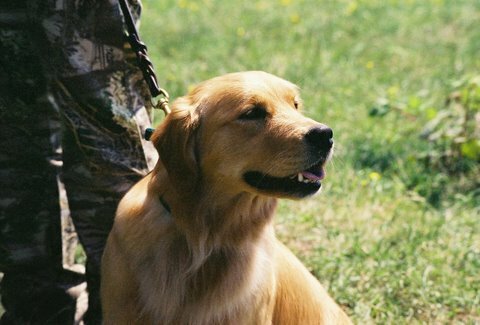 We wish good luck and great retrieves to Sheri and Rachel. Sheri and Rachel earned their First JH leg on July 17th, 2010. One down - three to go!! 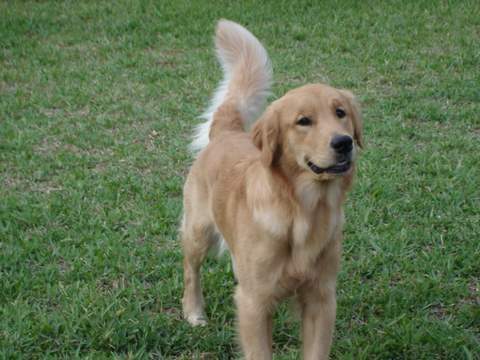 Darby, lives with Becky Douglas in Ft. Pierce, Florida. They have completed their Disaster Response Training and are officially part of the Crisis Response Team. 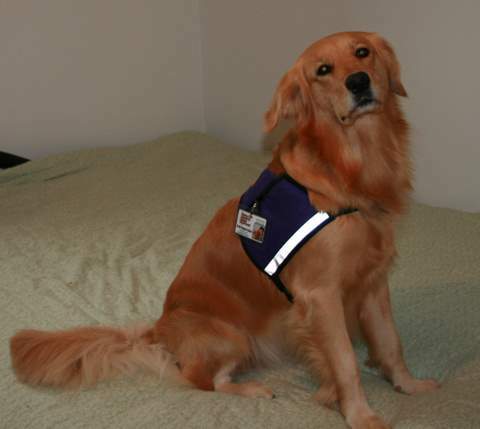 Becky and Darby also visit Hospice Centers bringing happiness and love to all they come in contact with. 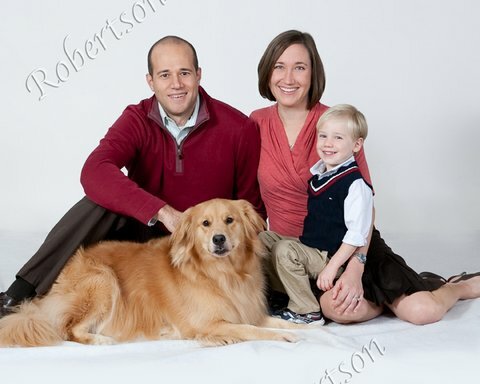 Becky tells me Darby loves everyone -- and of course, everyone loves Darby. 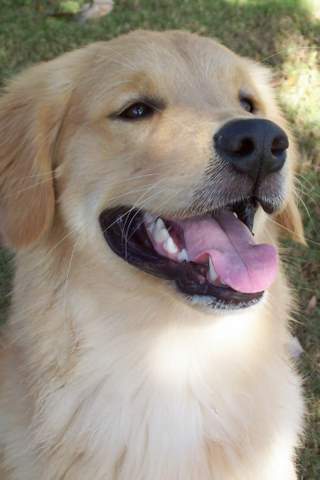 Bo - he lives in Vero Beach with Billy and Delaney. 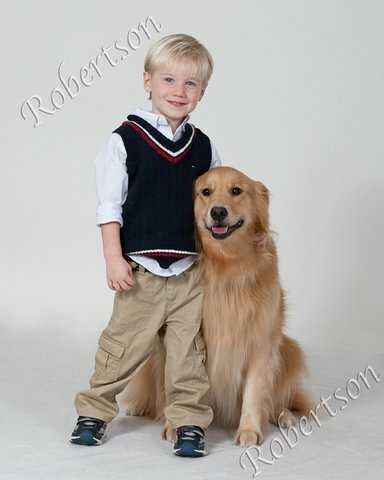 He is very much loved - has been to kindergarten and will continue his education and training in the future. 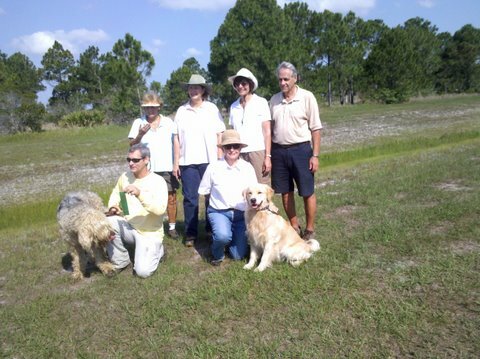 KnightDrmz Big Man in Town -- Max -- lives in Ft. Pierce with Ron and Luci Seeley. 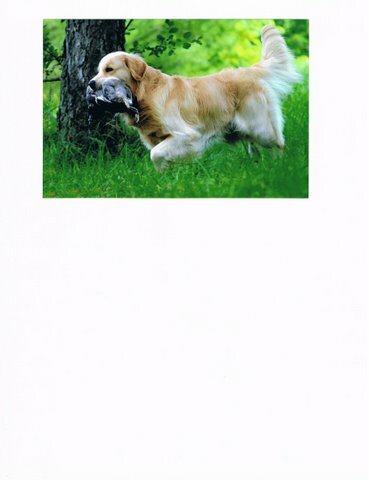 Max is training in Tracking and Obedience and doing very well in both. 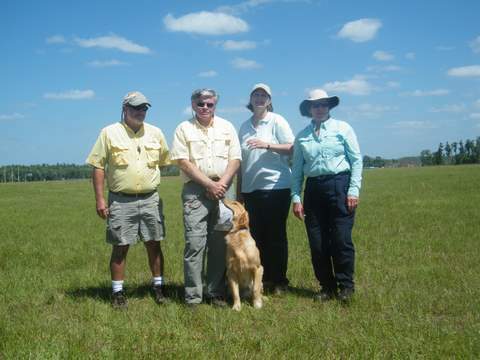 Below - Ron passed the Tracking Dog test on April 26, 2009. Max is officially now -- KnightDrmz Big Man in Town, TD. Congratulations Ron and Max! 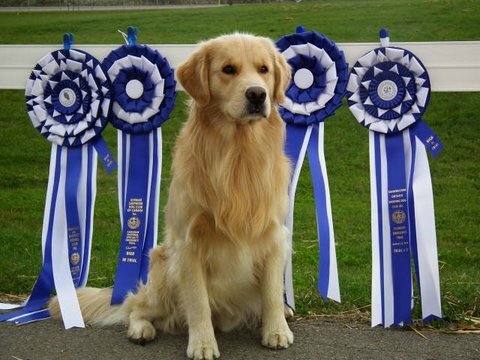 Today, June 13th, 2010 Max and Ron earned their second title --- RN with a big blue ribbon for First Place!!! 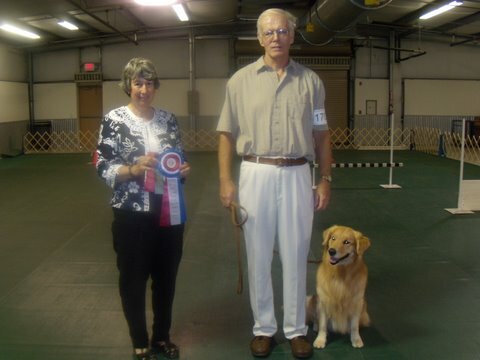 Ron and Max have entered the world of Obedience -- at the Daytona Club Trial on July 18th, 2011 - Ron and Max competed in Novice and have added "CD" to their already achieve titles! Way to go Ron and Max! We are very proud of this team! This is KnightDrmz Angel in the Moonlight with her new baby sister Piper. Angel lives in Maryland with Janice and Doug Cornell. 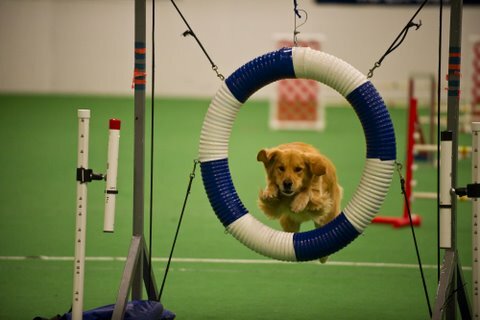 She is currently training in obedience and agility - and will possibly be competing this spring. 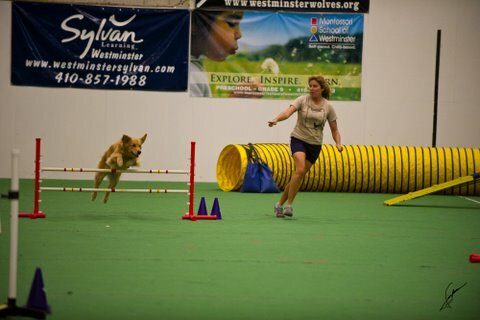 And here's Angel competing with Mom in CPE Agility -- they have earned titles and are progressing to Level 4 -- WE ARE EXTREMELY PROUD OF ANGEL AND JANICE. 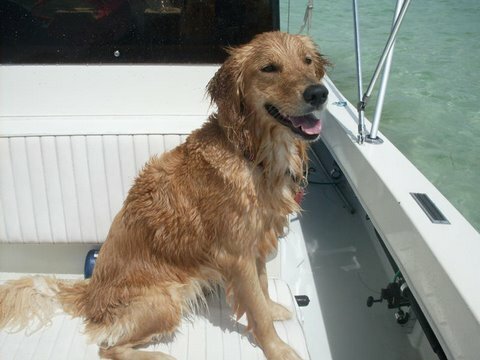 Rosie lives with Cindy and Tom Pack and loves the water. Seger earned his WC -- THREE DAYS AFTER EARNING HIS CHAMPION!!! 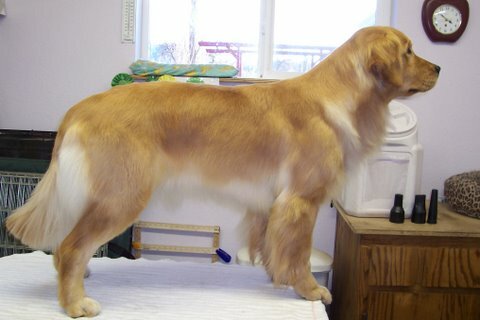 Seger did a great job at earning his CD title with (7) 1st placements (HIC's) out of (9) trials -- (4) being High in Trials ! 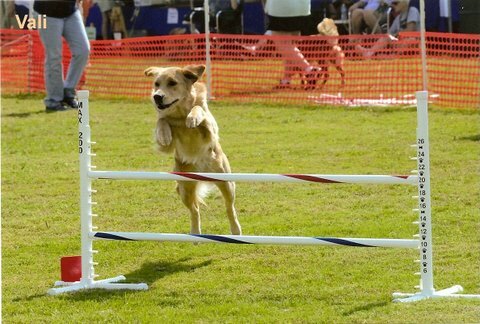 And Seger competed in a Junior Hunt test less than a month after earning his CH and WC and passed! test in Port St. Lucie on May 22, 2011.